Working smart has never been easier with the Muratec MFX-3595. This device is perfect for small workgroups who need a feature-rich, reliable document solution that won’t break the bank. 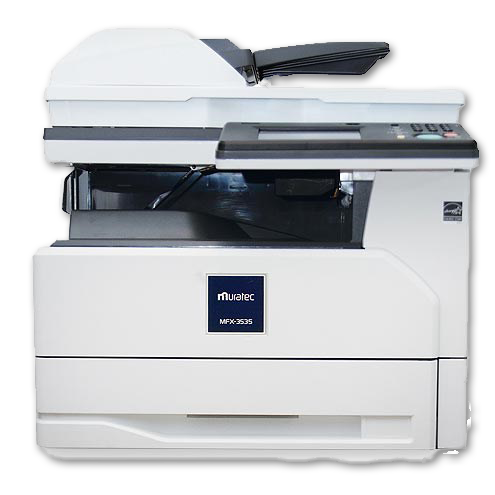 The MFX-3595 features a high-resolution (600 x 600 dpi) color scanner, quickly capturing your documents and converting them to digital files. Once converted, these documents can be delivered to email addresses, PC folders, cloud storage, FTP locations or USB drives. Increase efficiency by pre-registering locations in the MFX-3595’s address book to gain instant access to your most frequently used email addresses, PC folders and fax numbers. Want to customize the file name, add processing instructions in an email body or create a metadata file to enable seamless indexing into your document management system? 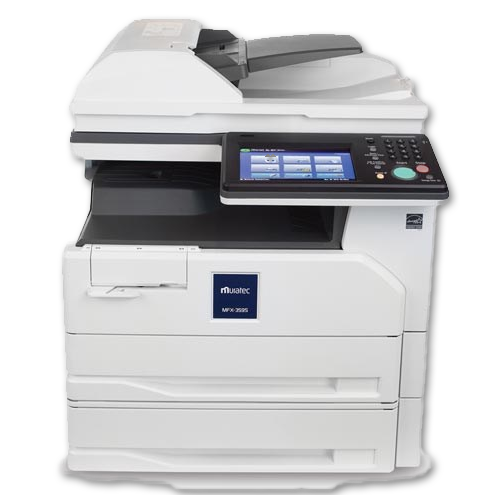 The MFX-3595 quickly performs these functions, making document scanning even more efficient. The MFX-3595 is ready to handle just about any media you throw at it. And, with several paper options to choose from, your MFX-3595 can handle them all at the same time. So no matter what your job calls for, just press [Print]. Optional PostScript 3 printing enables compatibility with Macintosh operating systems.